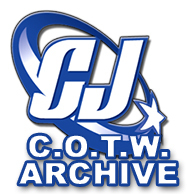 Welcome to our new CJ forum! Featuring all types of custom made figures for your viewing enjoyment! Show off your work-in-progress and get help from others for making custom toys! 57 114 C.O.T.W. CLOSING !!! Got extra stuff? Missing pieces from your collection? Here's the place to let us know! 15 103 Bwana Beast on Legends of Tomorrow? 5 41 Ken Levine Interview Is Live! 41 221 What Song Are You Listening To?